Cyber crime is a crime committed with the help of a computer or communication device and a network (like the internet). 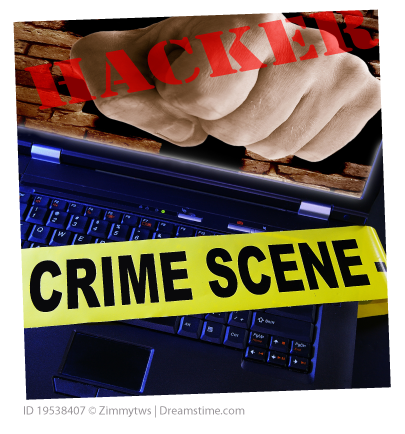 It is very difficult to track down cyber criminals because the internet makes it easy to do things anonymously and from any location on the globe. In the year 2000, Yahoo! was the internet’s top search engine and a multibillion dollar industry. But on February 7, 2000, their website was targeted with a “denial of service” cyber attack, which overloaded its systems and brought the website to a grinding halt for almost an hour. Just like you would jam a phone system with a barrage of calls to prevent anyone else from getting through, someone had bombarded their web servers with so many requests that they were unable to serve content to visitors. Over the next week, other giant companies like CNN, Amazon, eBay, E*TRADE, and Dell.com had their websites hit with similar attacks. In total, 11 sites were attacked and the damage caused was estimated at $1.7 billion from downtime, lost sales, and lost stock trades. U.S. and Canadian computer crime investigators immediately got to work to try and find out who was behind these hacker attacks. 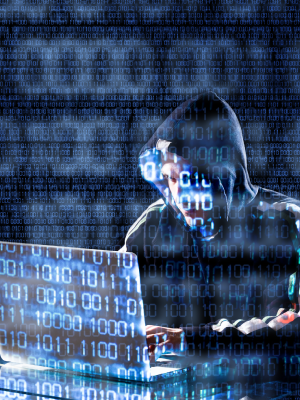 A hacker is a person who illegally gains access to and sometimes tampers with information in a computer system. Computer hackers are often very smart people who share their computer knowledge and programs. Like everyone else in life, some of them choose to make bad choices at times. When it turns into crime, the police get called in to help! On February 14, only 7 days after the first attack, U.S. FBI investigators notified Canadian RCMP officials in Montreal that the trail to the hacker led over the Canadian border. They discovered this by monitoring online chat rooms and known hacker web pages for clues. A certain hacker named MafiaBoy was boasting about the attacks. FBI investigators were able to associate IP addresses with the attacks and one of the addresses came from an Internet service provider (ISP) in Montreal. An IP address is a numerical label assigned to a computer when it participates in a computer network. RCMP computer crime investigators obtained a warrant to review the accounts of this Internet service provider in Montreal. The officers were able to link together the IP addresses with an actual residential phone number. This gave them the evidence they needed to be given a warrant for a wiretap. A wiretap is a concealed listening or recording device attached to a telephone line. Investigators soon learned the identity of the hacker. He made the mistake of talking to friends about the attacks, bragging about his skills, and boasting the police would never catch him. Computer and information technologies continue to grow and so does cyber crime. But Government and law enforcement agencies have created teams of people dedicated solely to tracking down cyber criminals. Working together and sharing information helps them stay hot on the trail of computer criminals. RCMP officers raided the home of the hacker and arrested him, searching his house and gathering even more evidence against him. He was captured thanks to straightforward police work and the cooperation of U.S. and Canadian law enforcement agencies.